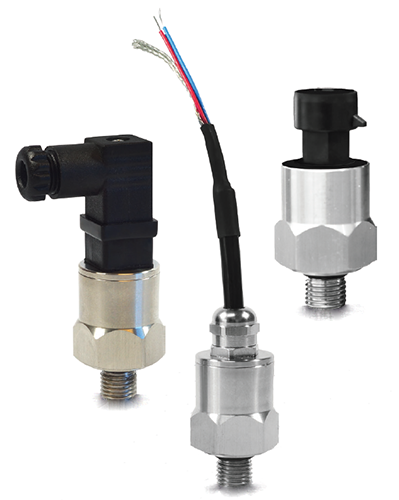 Anfield® series T200 pressure transducers are ideally suited for the industrial application where space constraints require a small body size. They are commonly used in industrial equipment, safety monitoring, and mobile equipment. Anfield® series SPAL are simple and common pressure switches that utilize a polyimide diaphragm for extended duty applications. They are used in many automative applications for monitoring engine functions and auxiliary devices. Anfield® series SKDA are one of the smallest switches in the market offering an integrated Deutsch receptacle. Plug in a mating Deutsch DT06-2S plug for an instant solution to the constant water spray present in mobile applications. Anfield® series SPAH are small open type construction switches suitable for use in the electrical appliance market. Their high current ratings allow direct control of heating elements and motor loads without the use of an additional relay. They are ideal for high volume requirements. Gems® series 1200 features stability and toughness via its CVD and ASIC design coupled with a thicker diaphragm. The 1600 series extends the packaging options by providing an all welded stainless steel back. They are commonly used for off-highway vehicles, natural gas equipment, semiconductor processing, power plants, refrigeration, robotics and HVAC.